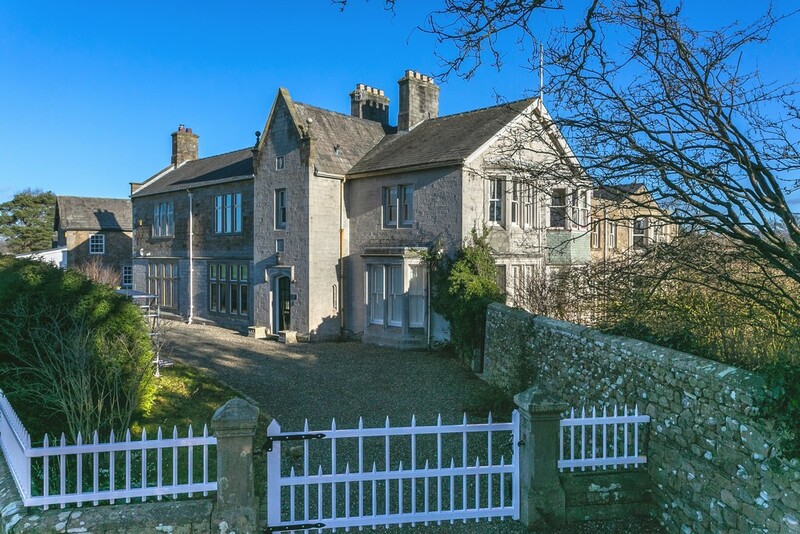 This beautiful and elegantly grand detached residence dates back in parts to the 1870s and was kept within the same family for more than 50 years before being acquired by the present owners in 2007. 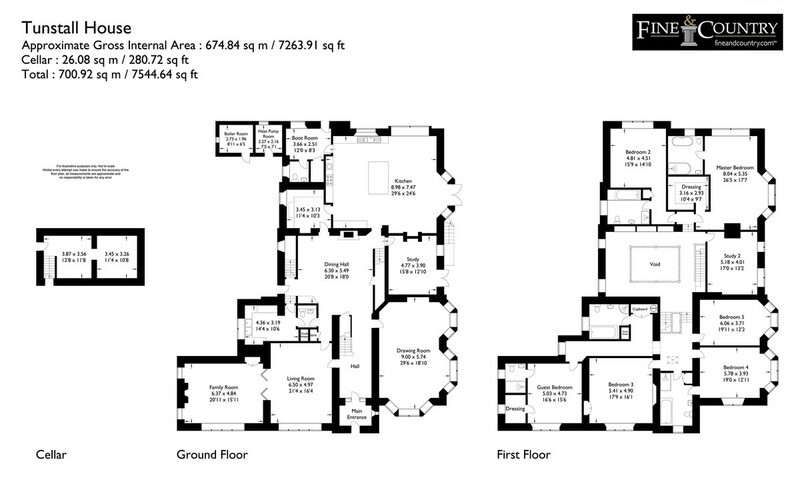 Since then, Tunstall House has undergone a sympathetic programme of renovation and an extension of over 2000 sq ft. 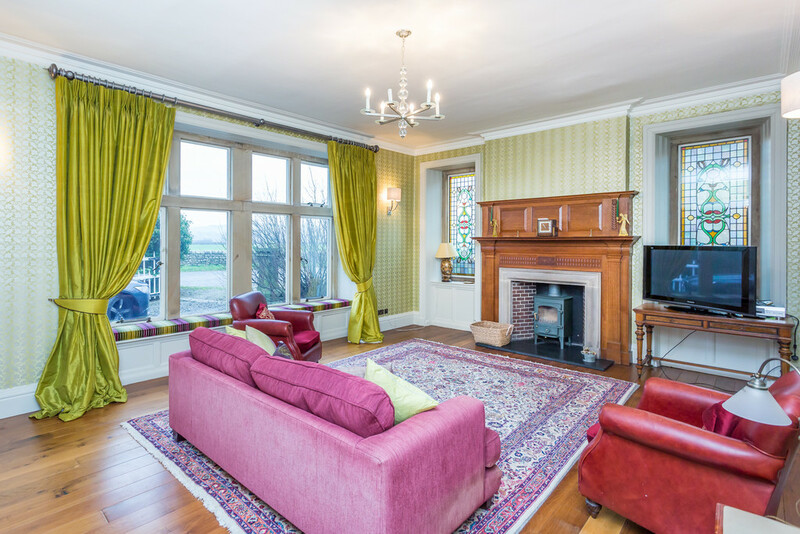 It now stands as an impressive residence offering spacious, bright and luxury accommodation that, despite its grand size, offers a welcoming and homely family atmosphere with a wealth of period features and character. whilst also benefitting from B4RN internet connectivity. 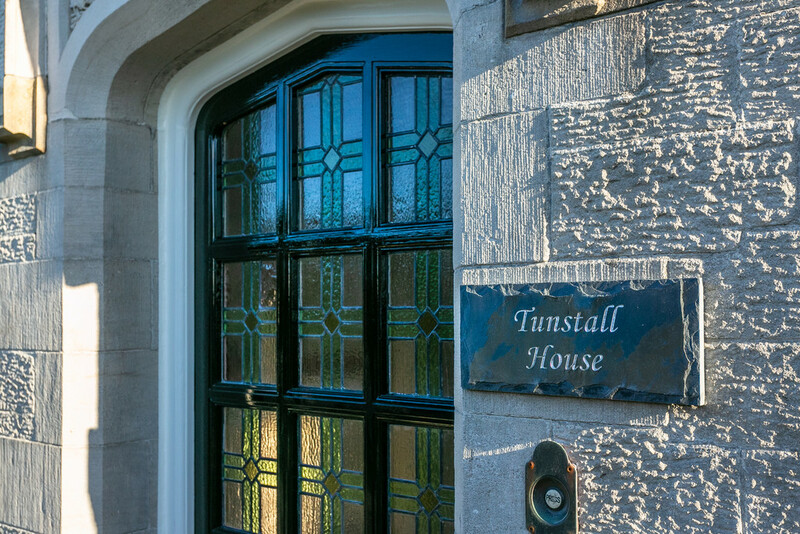 "When we bought Tunstall House in 2007 the same family had lived in it for several decades. 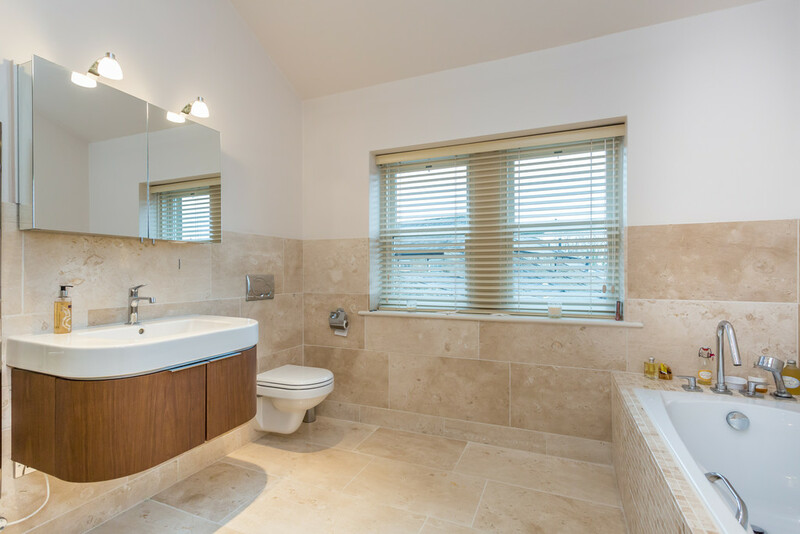 It was a fantastic family house in the perfect location with beautiful views to the Yorkshire Dales, but it needed the modern conveniences. 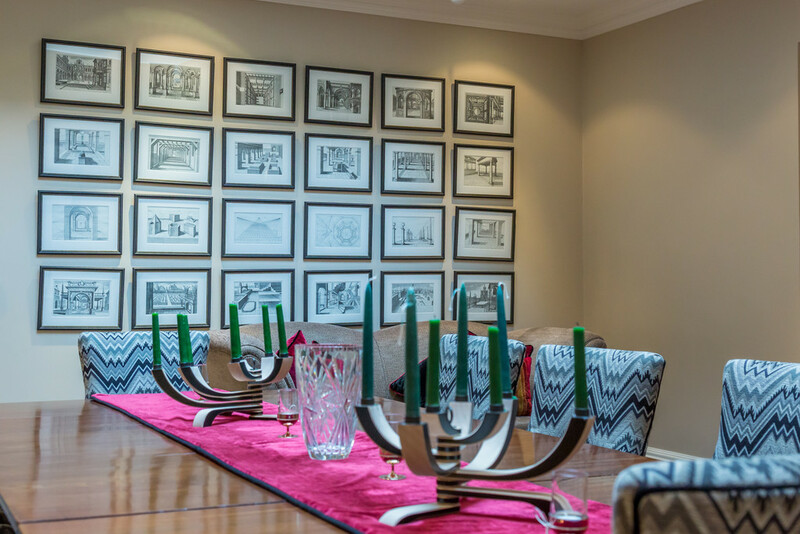 We aimed to create a warm modern home for family and entertaining, while retaining the character we loved. 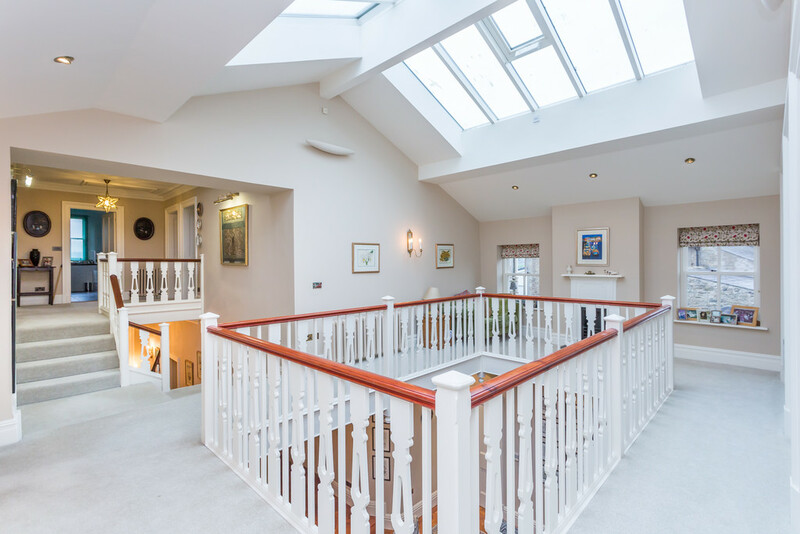 With help from local architects, we created a central hall with skylight and balcony, extended the kitchen, added several bathrooms and replaced all the wiring, plumbing and boilers with top of the range systems including underfloor heating. We’ve carried on improving and maintaining ever since." 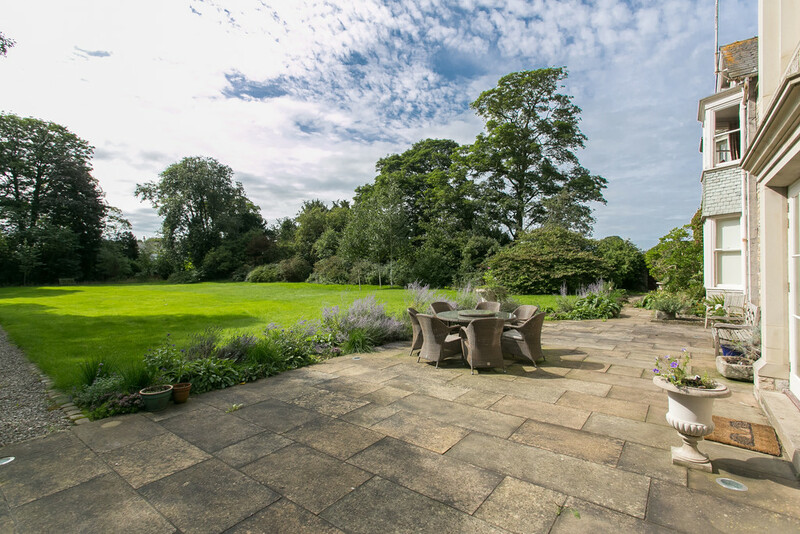 Enveloped by private grounds amounting to almost 3 acres consisting of manicured expanses of lawn, patios, woodlands, a pond and walled kitchen garden, Tunstall House has something to offer all the family. 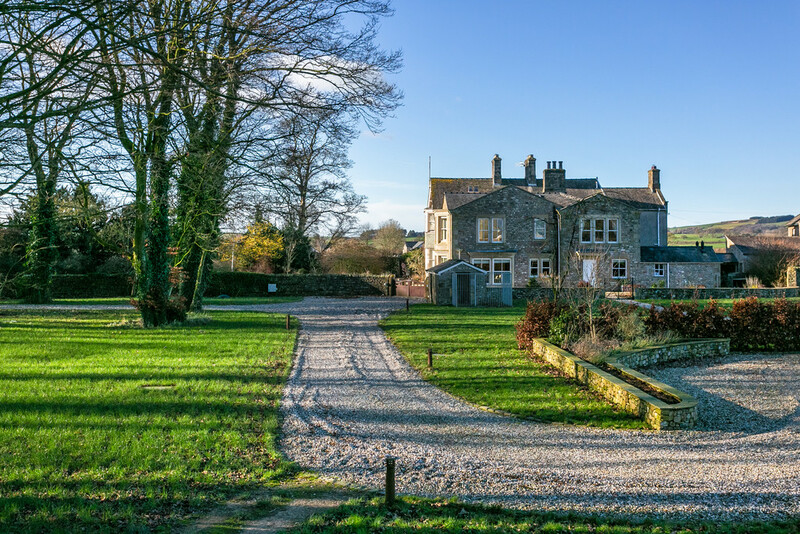 The newly instated gravelled driveway sweeps through the grounds leading to an impressive turning circle and thus creating a fittingly impressive entrance to this worthy home. 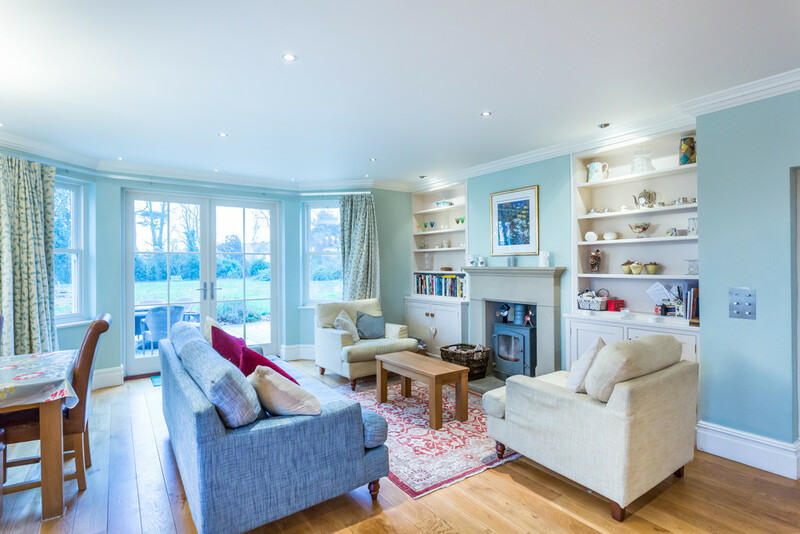 With a total of five reception rooms and a show stopping open plan kitchen, dining and living area, the property is ideally suited to both modern family life and entertaining on a large scale. 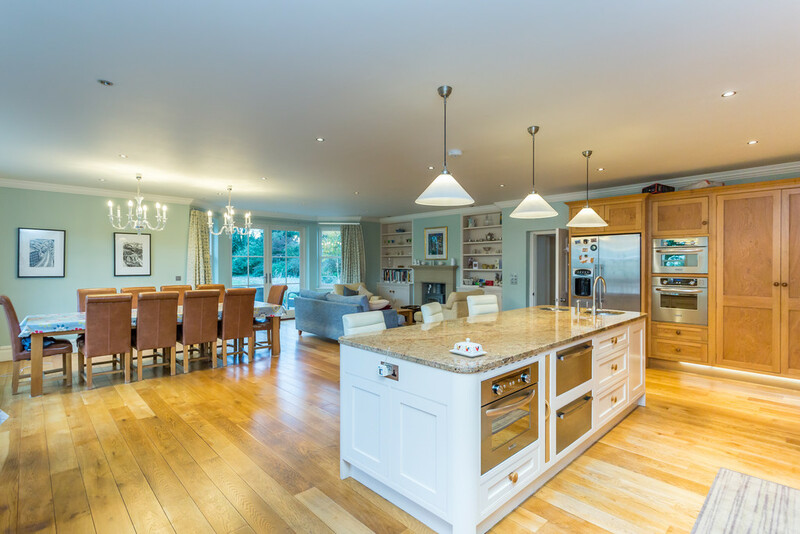 The hand crafted kitchen by Ramwells of Kirkby Lonsdale supports this, being well equipped with quality appliances such as various Kitchen Aid ovens, induction hobs and NEFF warming drawers along with a large granite topped central island and breakfast bar. 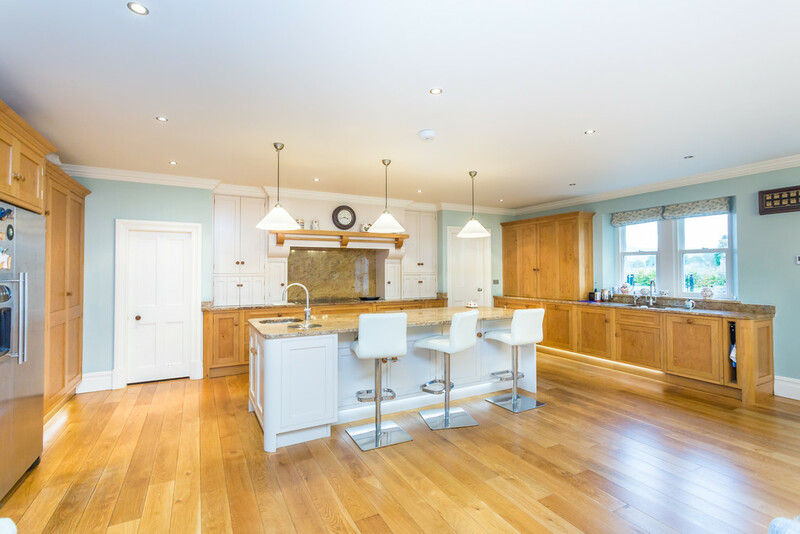 "The kitchen is fully equipped for serious entertaining, with a separate air conditioned pantry for cool storage. 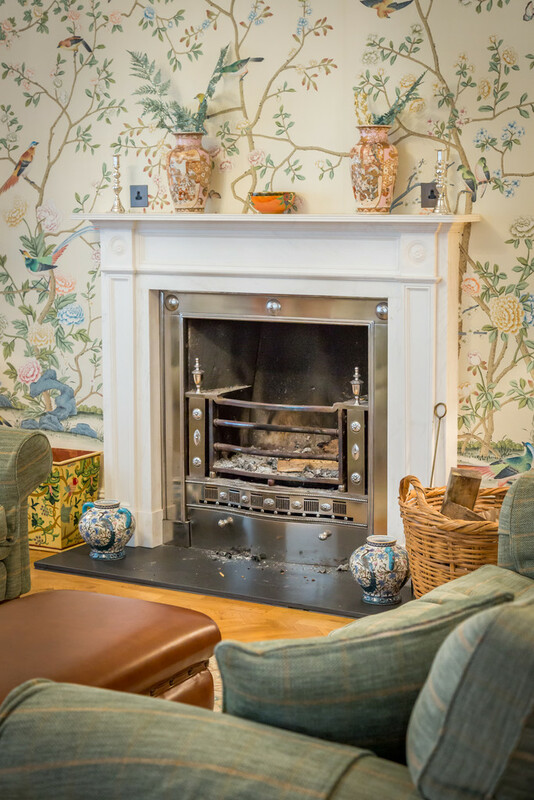 Yet it is also a cosy family room, with sofas surrounding a log burning stove and a view of Ingleborough. 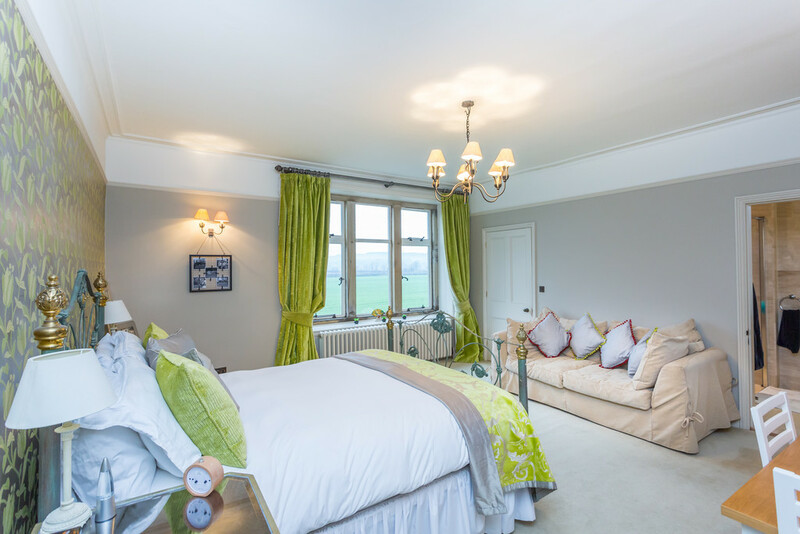 We have had so many magical family Christmas days here with 20 or more eating together in total comfort." 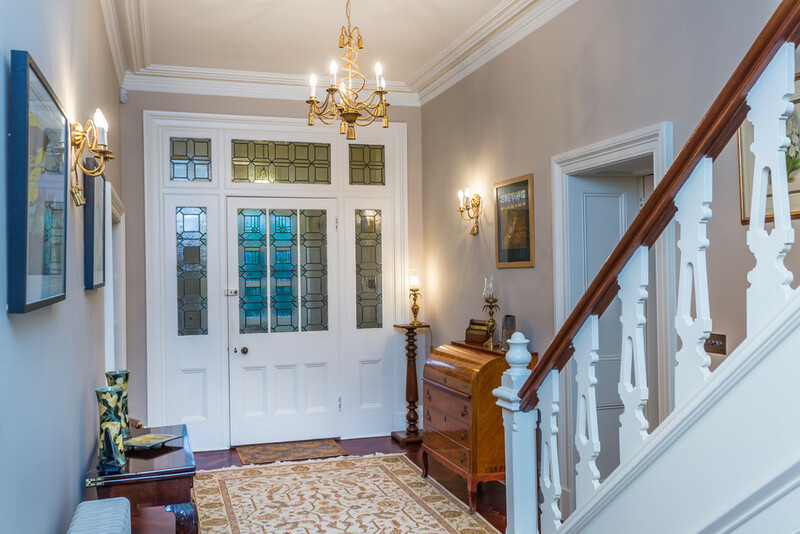 Within the original portion of the house, the original entrance door leads you into the central dining hall that is open to the galleried landing of the first floor and the fantastic glass roof that floods both floors with natural light. 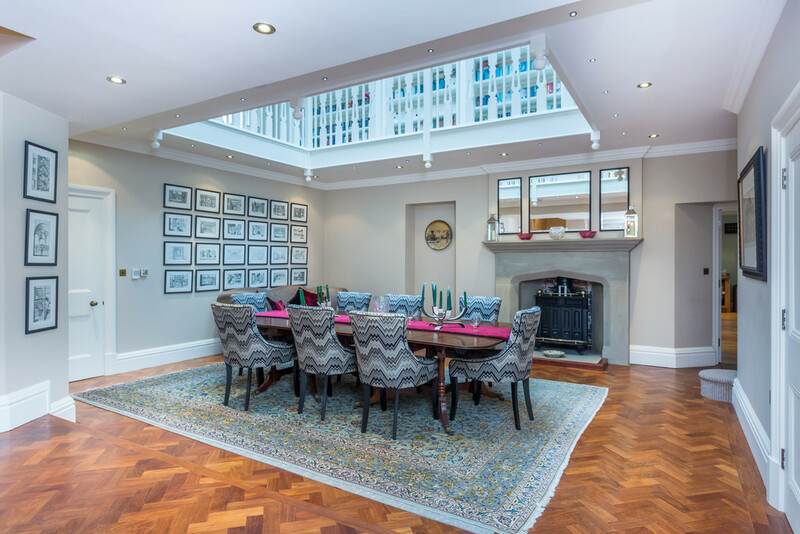 "The central hall makes a beautiful space for more formal dining, right next to the kitchen and its natural light well brightens the entire house. 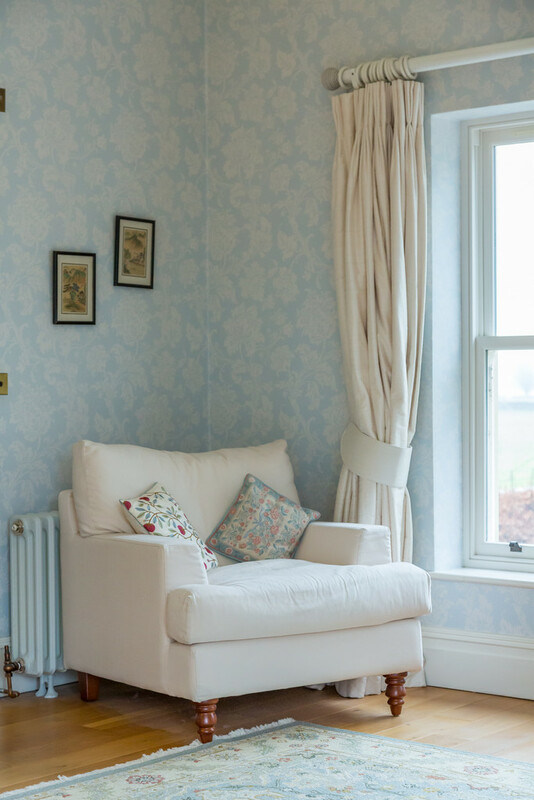 The balcony overlooking the hall is the perfect place to curl up with a favourite book from the built in library shelving." 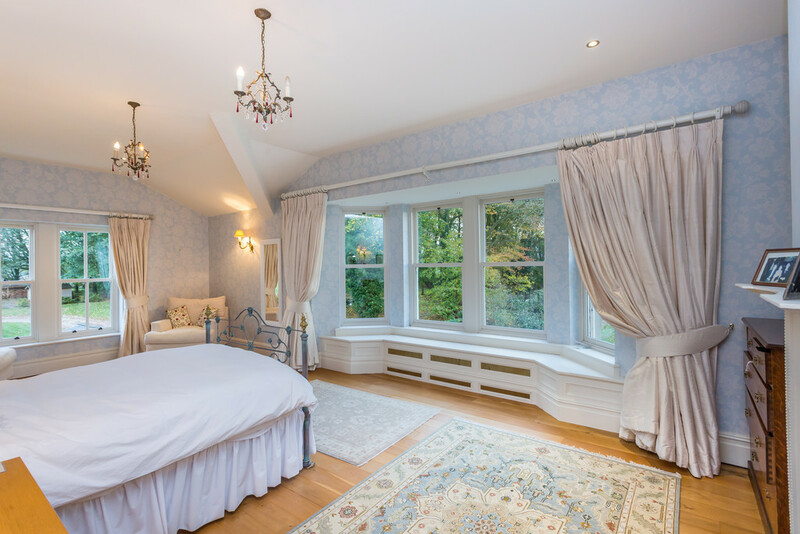 The further reception rooms include a study, drawing room with triple bay stone mullioned windows and Chinese silk wallpaper, and a sitting and living room adjoining one another to create another fantastic space for entertaining with pretty window seats set affront the original stone mullioned windows. 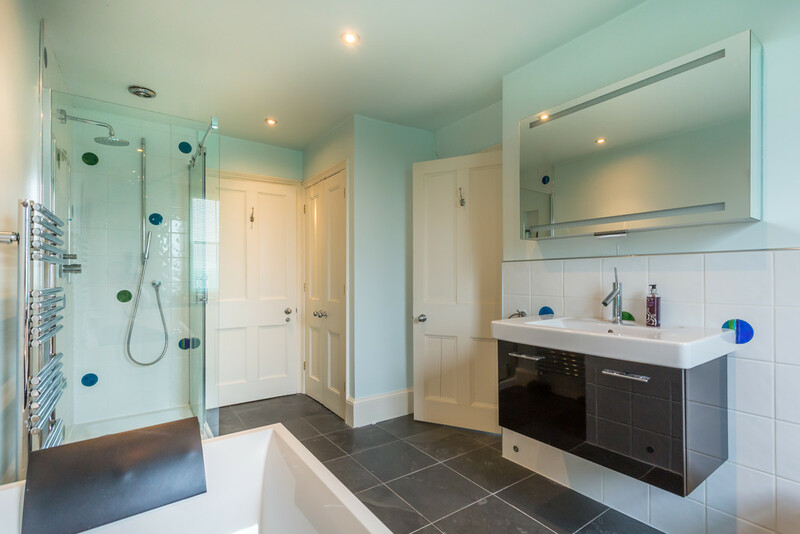 In brief, there is also a cloak room with WC, plentiful storage spaces and a wine cellar. "The cellar is a special domain to me. It naturally keeps a stable temperature and has hard wood racking for at least 1,500 bottles of fine wine." 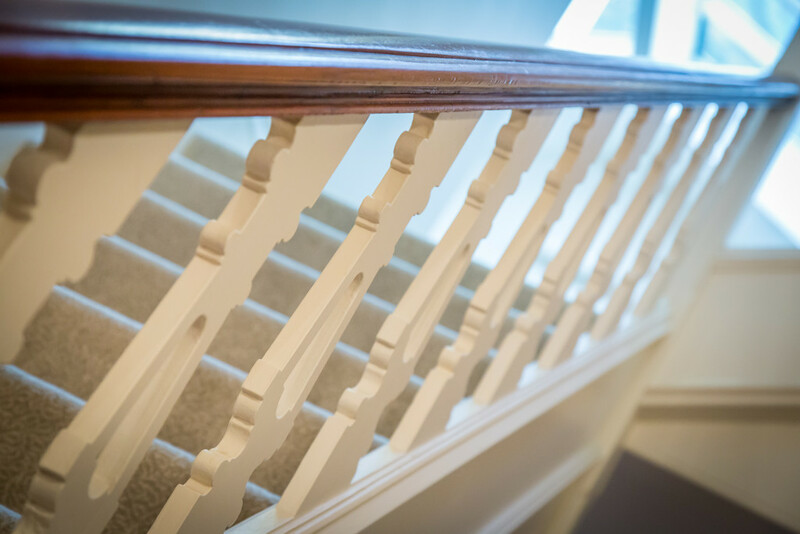 A choice of two staircases lead up to the first floor. 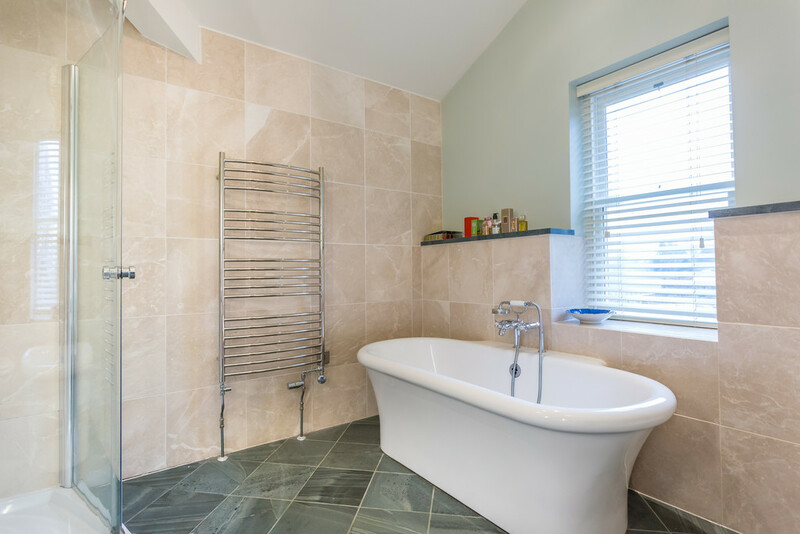 For each of the 6 well proportioned double bedrooms there is a private bathroom or ensuite fitted with luxury Villeroy & Boch sanitary ware and quality tiling to finish. 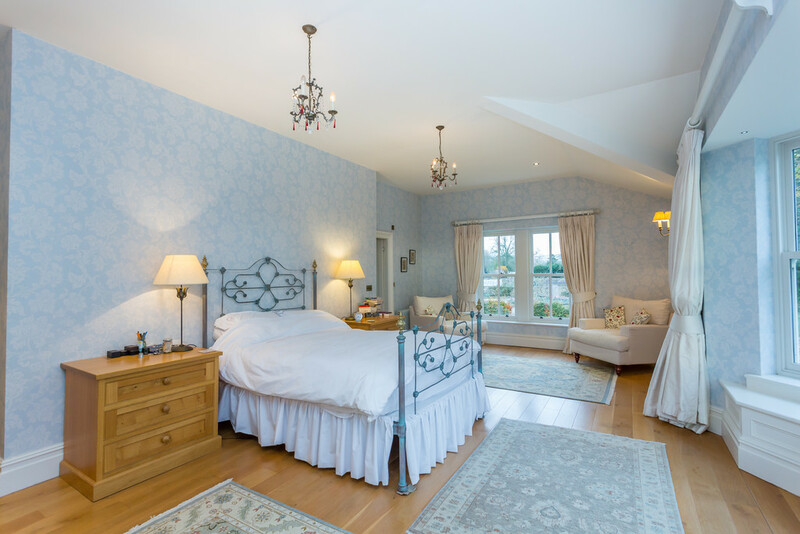 The grand master suite, situated in the newer side of the house, is tastefully finished with tranquil views over the gardens, a dressing room and contemporary ensuite. 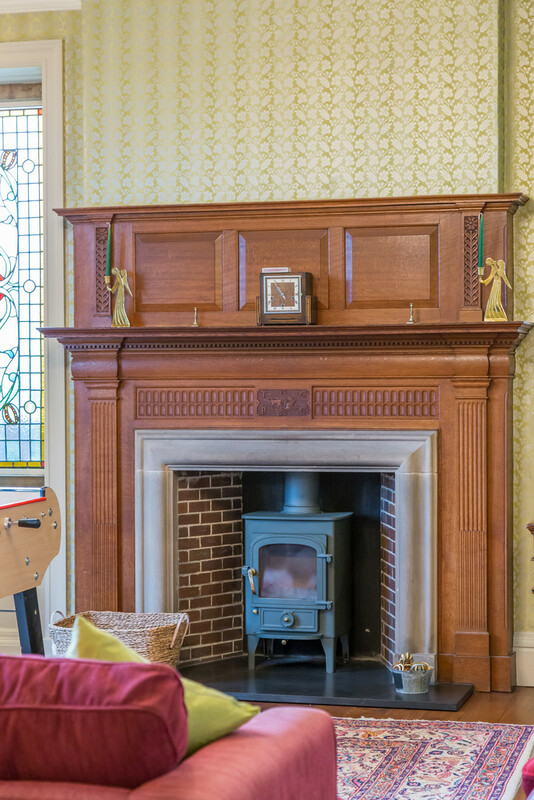 The original features continue throughout the first floor with original tiled decorative fireplaces and stone mullioned windows retaining a charming aesthetic throughout. Furthermore there is also a study located on the first floor which could be utilised as a 7th double bedroom if required. 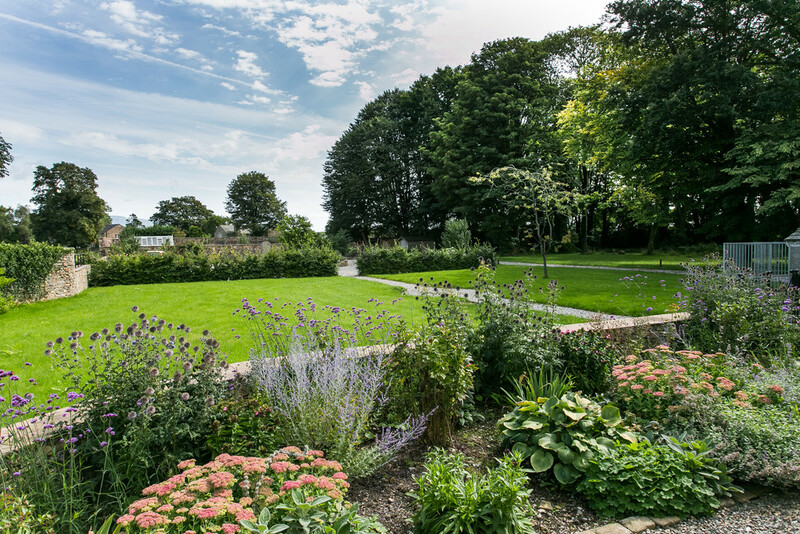 The approximate three acre grounds of Tunstall House are a mix of formal and informal gardens that can truly be enjoyed by all the family. 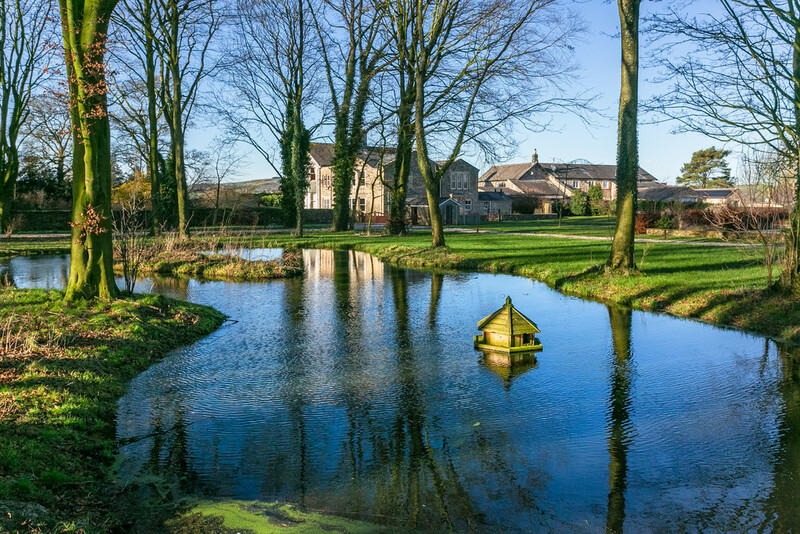 Children will enjoy the expanse of lawn to the side of the property, exploring through the mature woodland and watching the resident ducks on the pond. For the adults, the flagged stone patios are a fantastic space for outdoor entertaining, affording ample space for outdoor dining. 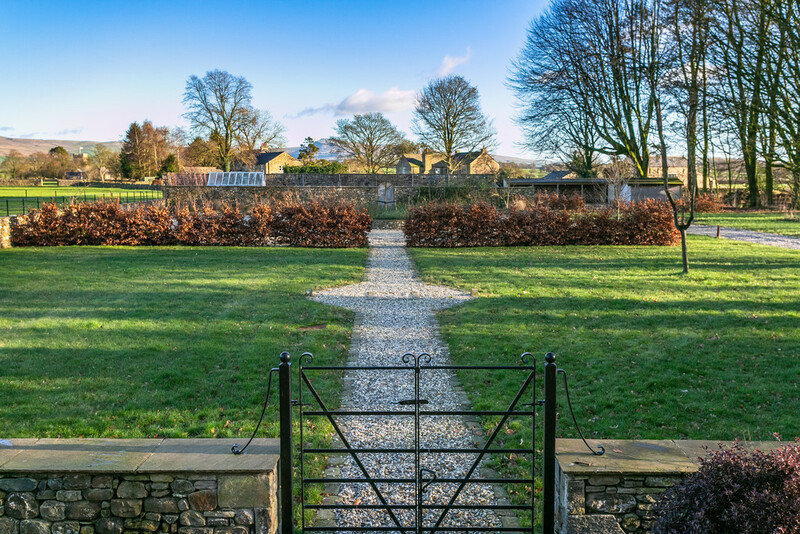 The original gated in-out drive to the front of the property has been retained; however a new sweeping drive has been created that leads into a large gravelled turning circle and pathway that leads up through the gardens to the new entrance. 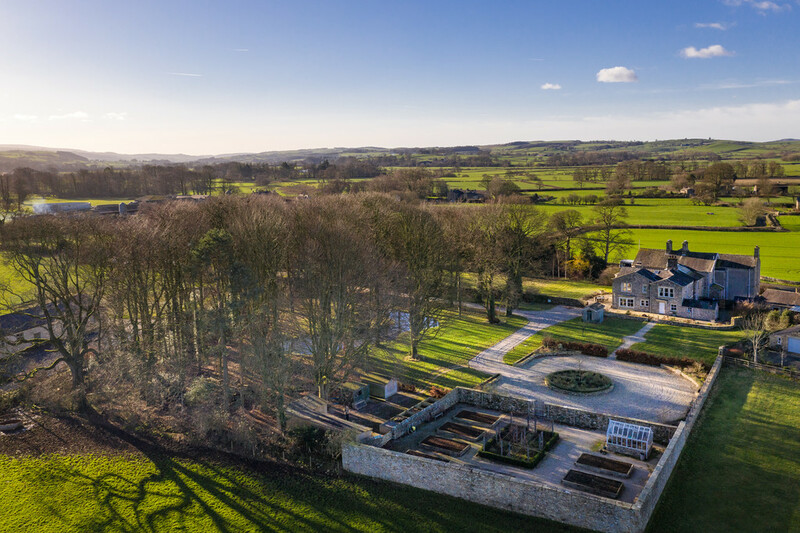 The walled kitchen garden is a well maintained private haven of organised raised vegetable plots, espaliered apple and pear trees, a soft fruit cage and green house. There are also ample outdoor sheds and stores to service the grounds and a separate single garage. 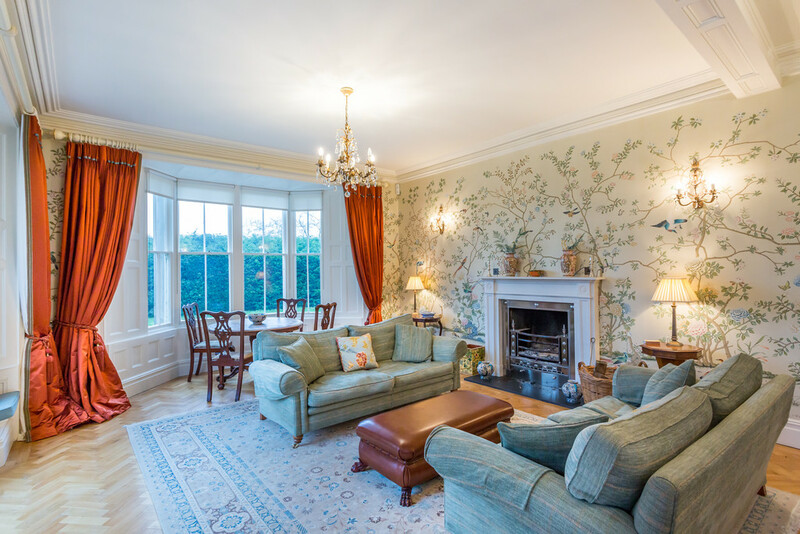 "We’ve seen our family grow up here, enjoying the gardens, large rooms, magical holidays and easy access to the children’s schools. 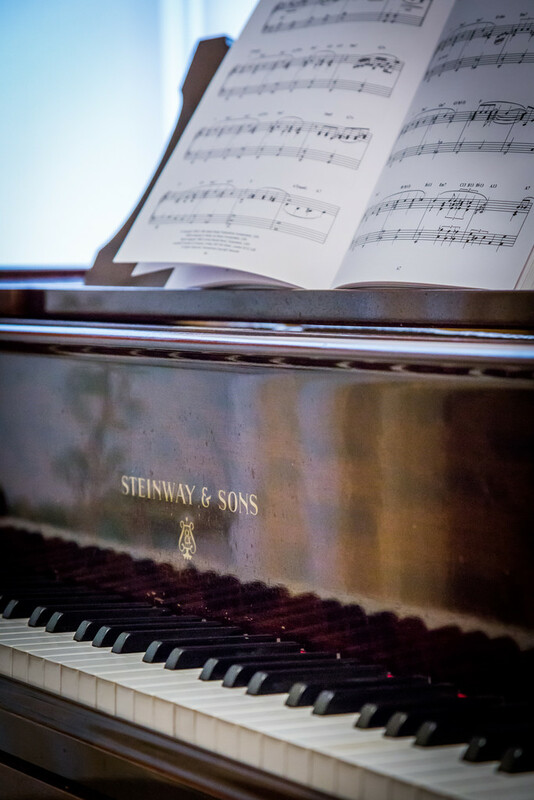 We can both truthfully say that we have loved and lived every minute in this house. It was and is our dream home. 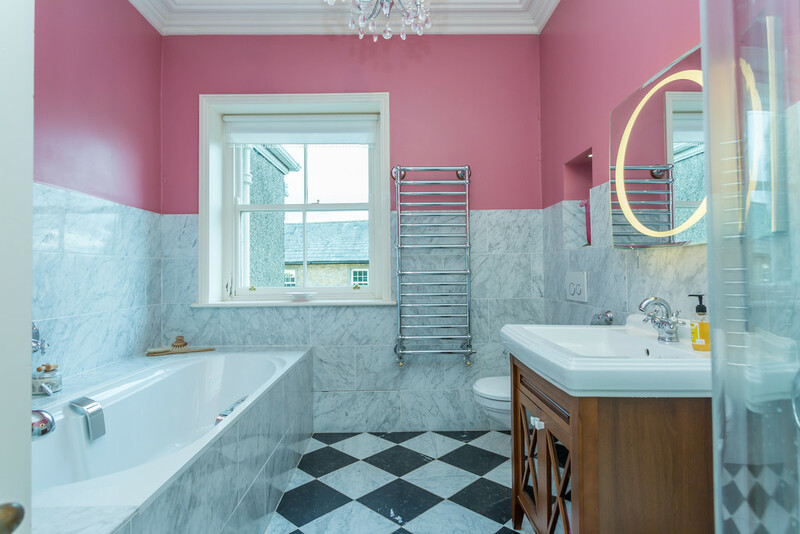 Like the family before us, we’d love to hand it on to new owners who will be able to use the space and appreciate the special qualities of this Lune Valley gem." DIRECTIONS From M6 Northbound exit at junction 34 and take the A683 towards Kirkby Lonsdale. Pass through the villages of Caton, Hornby and Melling. At the T-Junction, turn left to remain on the A683 and head into the village on Tunstall. 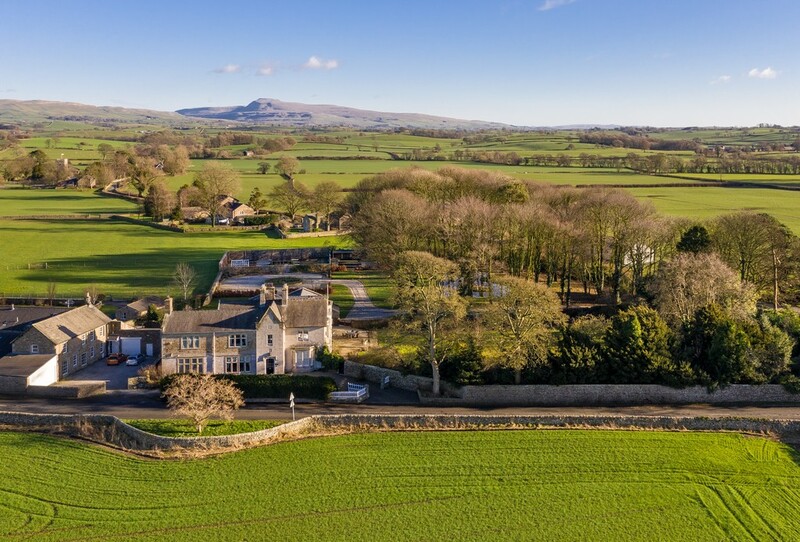 After passing the Lunesdale Arms, take the next right hand turn down Church Lane and the entrance to Tunstall House is first on the left.